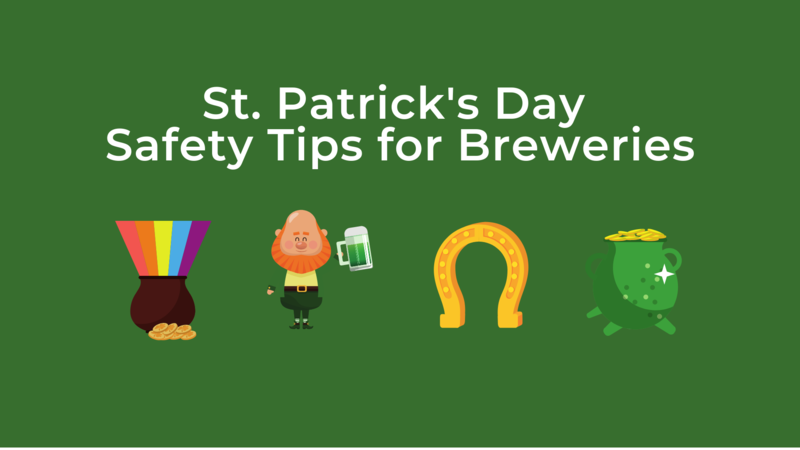 Tips to Keep Your Brewery Safe on St. Patrick’s Day - Strate Insurance Group, Inc.
On St. Patrick’s Day, “The leprechaun made me do it!” can be a common excuse for a patron wreaking havoc at your brewery. However, it doesn’t excuse you as a brewery owner from keeping your grounds and customers as safe as possible. Here are some tips to keep pints full and luck on your side. Scan for wet floors, clean up spills and use caution signs! Is it really St. Patrick’s Day without the Irish Jig and a little spilled beer? You may not cry over spilled beer, but you may have to pay for it. Slip and fall injuries are the most common and costly lawsuits against brewpubs and taprooms. Protect your business by performing frequent checks for wet floors, clean up spills immediately, and place caution signs around any hazardous surfaces. Train servers in alcohol awareness and utilize ride safe programs! Liquor liability insurance can protect you after a customer suffers a traffic accident, but your first line of defense against liquor liability lawsuits is prevention. Create a layer of defense by training your servers in alcohol awareness and utilizing safe ride programs. When the leprechauns start to look tall and handsome to your customers, stop serving! Secure a special events policy! Planning special events involves higher risk activities, and your standard insurance policy may not cover these events. Don’t rely on the luck of the Irish; secure a special events policy. Verify Food Trucks have adequate insurance coverage! Breweries and food trucks go together like corned beef and cabbage. While food trucks offer breweries a convenient option to serve up delicious food – it’s not without risk. That risk is what we like to call vicarious liability. Very simply, vicarious liability means you can be held accountable if a food truck strikes a vehicle in your parking lot, or your customer suffers a case of food poisoning. Don’t let a tap room full of hungry clientele go hungry by using these tips! First, request a certificate of insurance to verify the food truck has insurance and that their liability limits are adequate. Next, require the food truck add you as an additional insured on their insurance policy. That way, if you are held liable for their actions, you’re covered under their policy. I hope you found the tips helpful and would love to hear your feedback or your own personal experiences with situations like these. As a craft brewery insurance specialist, I apply risk management principles and insurance expertise to the craft brewing industry. I love collaborating with brewers and brewery owners like you and strive to be your trusted advisor. If you would like to hear more, please contact me at rleach@strateinsurance.com or 423-318-5807. Let’s have a conversation! Cheers everyone, and Happy St. Patrick’s Day!